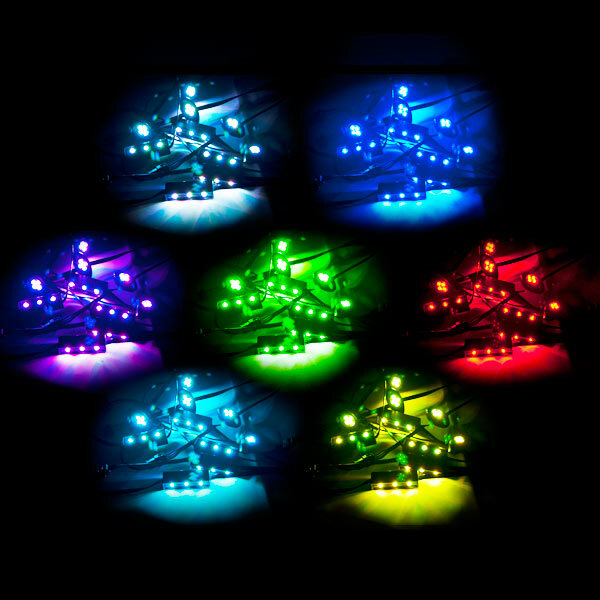 KapscoMoto 7 Color Motorcycle LED Light Kits utilize ultra-bright, surface mounted Multi-Color LED technology allowing all of the color modes to be extremely vibrant and bright for added visibility and a custom style that is second to none. Cool light patterns including Solid, Fade, Strobe, Breath, Scatter, Heart Beat and More! 1x Main Control Box 2 1/4 x 2 3/4 x 3/4"